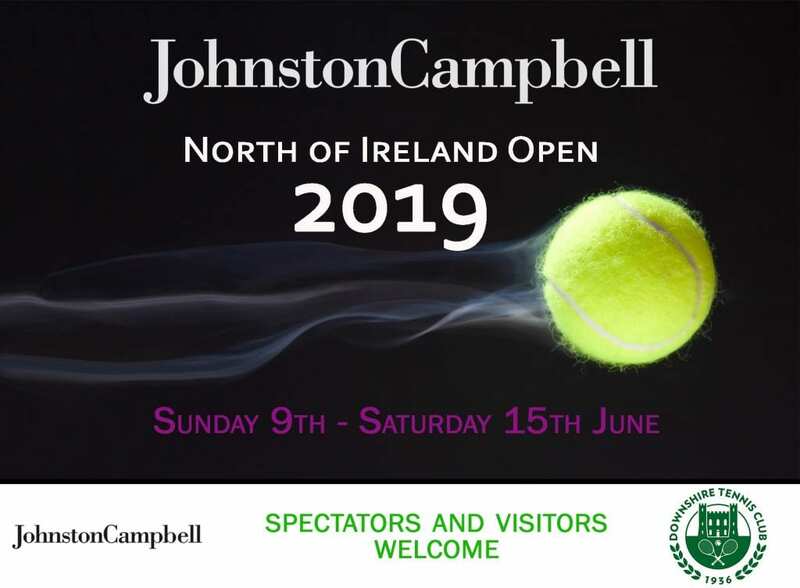 We are delighted to be able to announce that we will be sponsoring the North of Ireland Tennis Open again this year at Downshire Tennis Club, Hillsborough. Play will begin on Sunday the 9th June and will conclude with finals on Saturday the 15th. The last two years have been a fantastic success and we’ve seen the event grow to be the largest in Northern Ireland attracting the best players from all over Ireland and from further afield. Entries look strong again this year and we can’t wait for the action to begin. If you want to come along, see some top-quality tennis, you’ll be made more than welcome. There is no entry charge. At the time of writing there are still some places available for competitors in a variety of classes, so if you’re interested in taking part, contact tournament director Ross McCarey at Downshire Tennis Club.